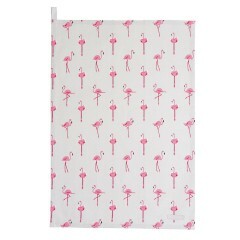 This punchy pink Flamingo design showcases the pink hues of the Flamingo birds against a chalk grey background colour. 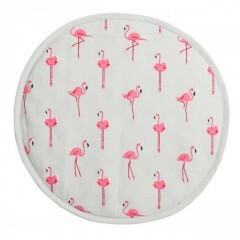 Sophie’s fun illustrations highlight the elegant long necks and quirky Flamingo shape. 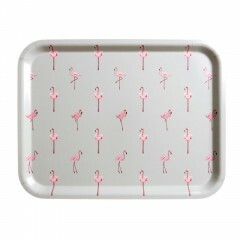 This fun Flamingos print will bring a splash of colour to any country home or kitchen. 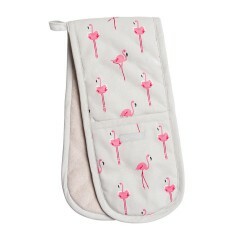 Available as tea towels and double oven gloves.